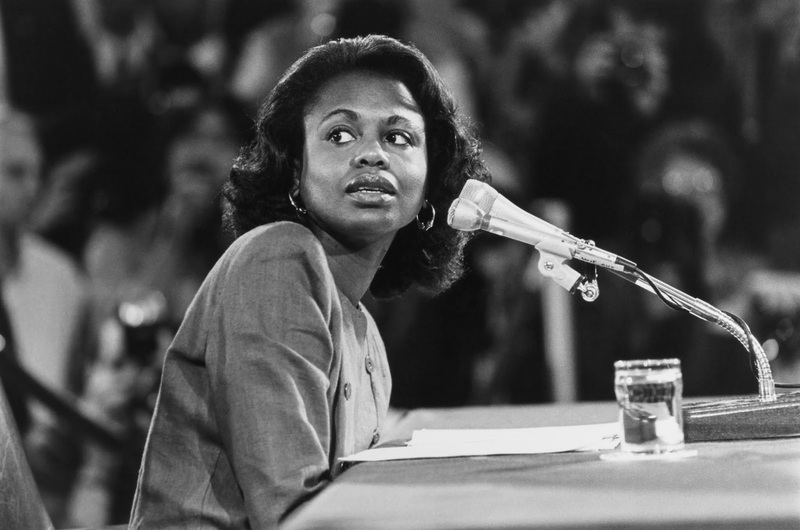 Dr. Anita Hill was sexually harassed by a man who now sits on the U.S. Supreme Court. If you are a woman and old enough to remember the riveting 1991 testimony of the then 35 year-old law professor, you no doubt recall that the only great divide in this country during the Senate Committee confirmation hearing for Clarence Thomas was along gender lines. There was no question in any woman's mind of the veracity of Dr. Hill's testimony, only in the minds of about half of the senators who voted for confirmation. Clarence Thomas slipped by with one of the lowest margins ever recorded in confirmation votes for Supreme Court justices, 52-48. One of the Democrats who voted for confirmation is still a senator, Richard Shelby (D, Alabama). We are well-rid of Joe Biden, who was especially hostile to Dr. Hill. While many of the most rebarbative and misogynist Republicans, such as Arlen Specter, are gone, Orrin Hatch (R, Utah) is not. He now serves as president pro tempore of the U.S. Senate. If that is not frightening enough, every woman and every right-thinking man in this country, should be terrified by the fact that President Trump will be choosing nominees for the Supreme Court in the coming weeks. 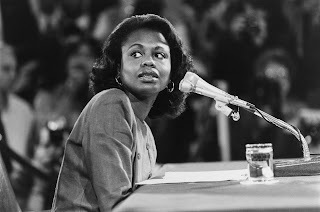 I mention this history because we are now at another “Anita Hill moment” in the United States, one in which record numbers of women are running for public office, as they did after the Thomas confirmation. Many of them are women of color, like Alexandria Ocasio-Cortez, who will soon occupy a Congressional seat for the 14th District of the great state of New York. While I find this encouraging, as an author and film critic, I feel the need to report that in my corner of the world, in film journalism, very little has changed despite all the rhetoric flying around about supporting women’s filmmaking. Every day I get announcements of new women’s film programming at various venues, most recently, for the upcoming Toronto Film Festival. That’s terrific, but what I do not see is programmers reaching out to women filmmakers and critics to chair panels at these events. I rarely see women’s faces when I attend film festival events or filmmaker Q&As, even when they feature female filmmakers. In the audience at press screenings, most of us are white, and there is often only one female critic in a group of 30 men, so our voices are naturally drowned out. Programmers and curators need to pay attention to the ratio of women and men in press screenings, and on their panels. Start counting.